Today I created with my first Studio Katia stamp set. I fell in love with this adorable stamp set Kobi Bearing Gifts and the coordinating dies from the May release. 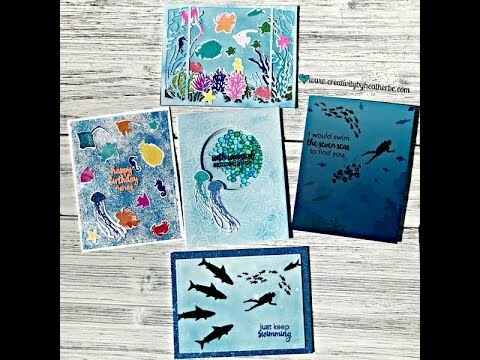 So many amazing stamps and stencils in this release! I decided to stamp Kobi out and color the image with copic markers. I used earth tones for Kobi and rainbow for the gifts. I wanted this cutie to be the focus of the card, therefor, I decided to keep the background simple. 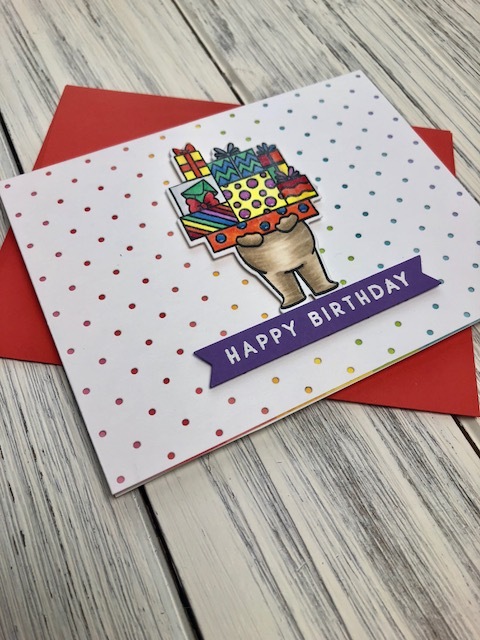 I used the new Lawn Fawn Itsy Bitsy Poka Dot Background and my favorite paper release from Lawn Fawn Really Rainbow paper pad to create a rainbow background to compliment the gifts. For the Happy Birthday sentiment I used Concord & 9th Enjoy it All stamp set heat embossed on a sentiment strip cut down from Neenah 80 lb solar white card stock. 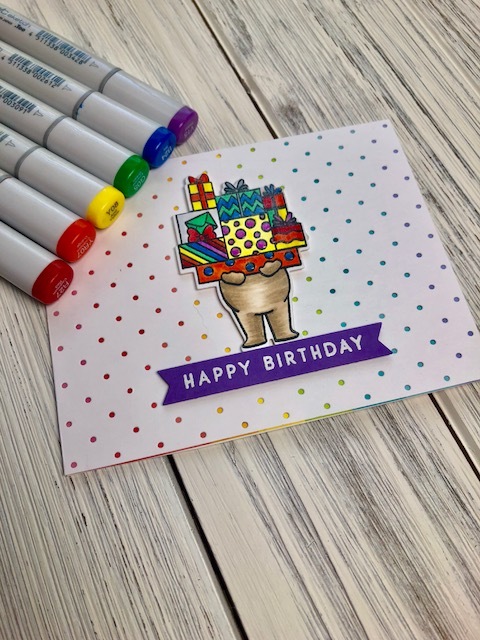 I hope this gives you inspiration for your next birthday card creation!